As a local dentist, we spend a lot of time encouraging people to brush their teeth. Typically, people wake up and head to the bathroom to brush their teeth. Taught at a very young age it is one of the most fundamental rituals, most people don't realize that brushing teeth has such a large impact on general health and wellbeing. While most people brush teeth for a whiter smile and fresh breath, brushing teeth also prevents severe gum diseases and the buildup of harmful plaque and bacteria in the mouth. This makes it important to understand the best way to clean teeth. First, it is important to take only a small amount of toothpaste. Many children and unfortunately adults, tend to take a lot of toothpaste because of its minty flavor and ability to cover up nasty mouth odors. This can result in oversudsing, which prompts people to want to spit before cleaning all areas of the mouth. This leads to shorter brushing times and an unhealthy mouth. Further, applying a large amount of toothpaste can result in swallowing more fluoride than necessary which is also unhealthy. Instead, one should take no more than a pea-sized squeeze of toothpaste onto the brush. When brushing it is important to set the brush to a 45-degree angle. This allows for the brush to reach the top of the teeth where they intersect with the gum line and clean out any plaque buildup that might be there. 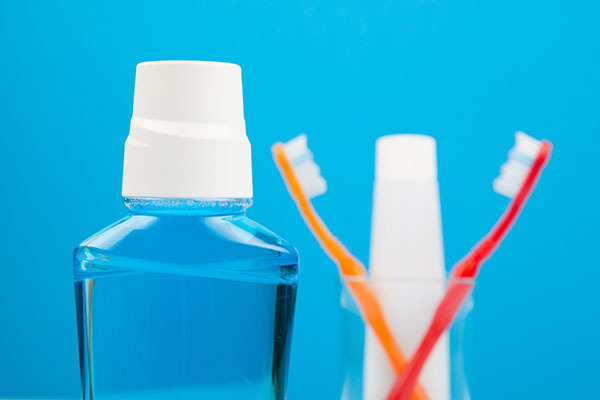 Ensuring that the gums are clean is an important part of brushing teeth and so holding the toothbrush the right way is critical to avoiding gum disease. As a dentist, we recommend brushing in a circular motion in order to get the best possible clean. It is also very important to avoid brushing across your teeth as this can damage the enamel. You should spend at least two minutes brushing your teeth and use a stopwatch if necessary to ensure that you are getting the right amount of time in. Spending an appropriate amount of time in each area of the mouth also ensures that teeth get properly cleaned, and you don't miss any spots. Some people find it helpful to divide their mouth into quadrants and spend 30 seconds in each quadrant brushing each area carefully to ensure that they are covering each tooth. Remember the aim is to get the teeth cleaned not just create a white smile or a fresh breath. Finally, make sure that you brush your molars by positioning your toothbrush perpendicular to your lips. Rest the brush head on your molars and move the toothbrush back and forth from the back of your mouth to the front. This will ensure that your molars are cleaned properly so that you can avoid getting cavities in those areas. To ensure that you have the freshest breath, once your teeth are all cleaned it is always a good idea to gently brush your tongue to remove bacteria that can cause odor. For more information on how to stay in good oral health, call our dentist office.